Click Here To See Chamber of Darkness #7 Comic Book! 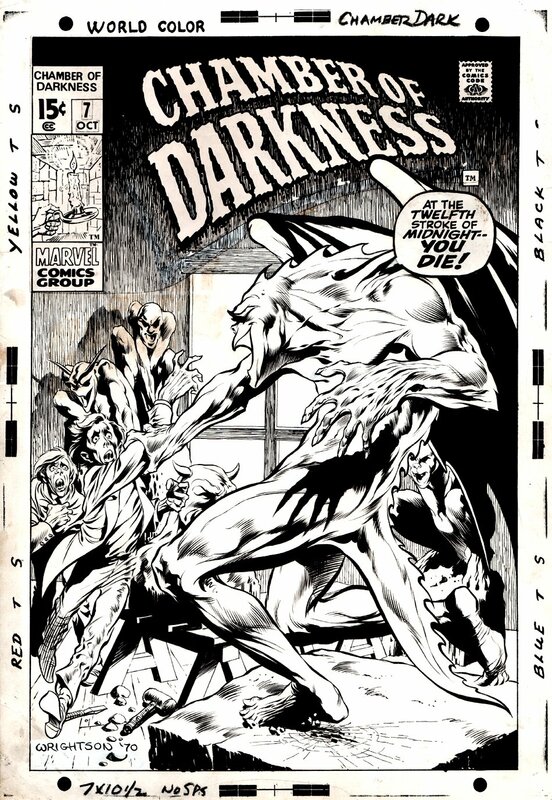 Check out this INCREDIBLY HISTORIC, incredibly DETAILED "VERY FIRST COVER" Wrightson ever drew for Marvel comics in 1970! This Wrightson penciled and inked classic is, from the story titled: "Night of the Gargoyle!" This awesome cover features a very detailed set of 5 GARGOYLE statues watching 2 men, just as 1 of the gargoyles comes to life and grabs a frightened guy to tell him..."AT THE TWELFTH STROKE OF MIDNIGHT--- YOU DIE!" The detailed background ink linework was drawn directly into, through, and above the logo! Simply AMAZING DETAIL! 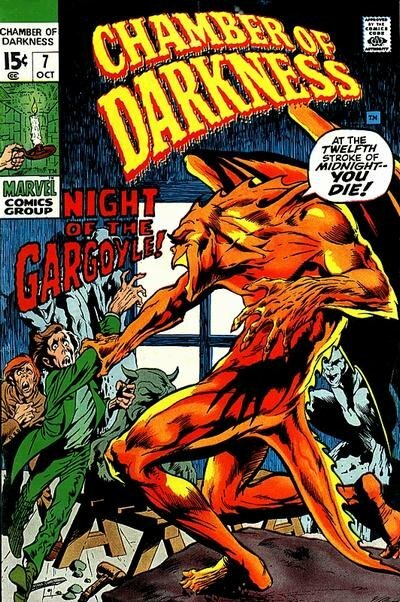 Just a great GREAT 1970 FIRST EVER MARVEL cover drawn by the greatest horror artist of the past 50 years! Compare this nice cover art to the published comic book in the red link above! ALL art on our website (including this one) are able to be purchased with VERY fair time payments, and trades are always considered towards "ANY" art on our website! Just send us an email to mikeburkey@aol.com and we can try to work something out!